No wonder nobody likes skeptics. In 2004, an Arkansas man boating through the swamp spotted an ivory-billed woodpecker, a species thought to be extinct since the early part of the twentieth century. A fleeting glimpse of the majestic creature recorded on video set the bird-watching community on fire, attracting the attention of ornithologists and enthusiasts from around the world. 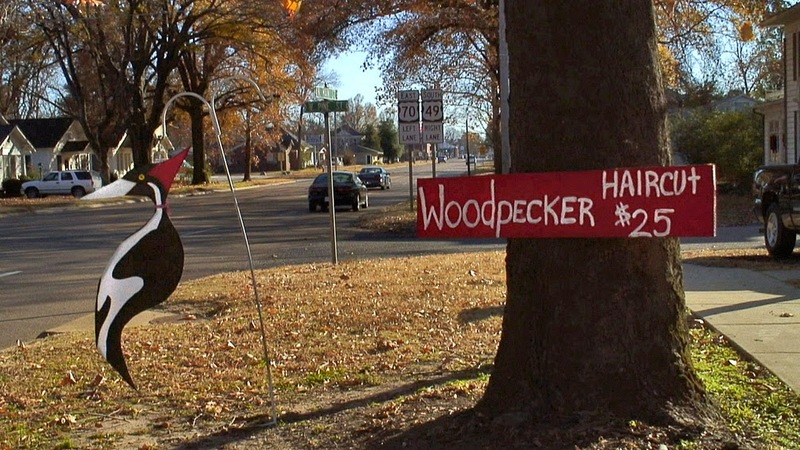 The discovery breathed new life into the small town of Brinkley, AR; tourists flocking to spot the elusive bird could browse at an ivory-billed woodpecker gift shop, enjoy $25 ivory-billed woodpecker haircuts, and munch down on ivory-billed woodpecker burgers (not made of actual ivory-billed woodpeckers). Even the small-town newspaper the Brinkley Argus enjoyed a surge in circulation thanks to their new feathered friend. Hosannas rang throughout the land and both man and bird lived happily ever after... until a few smarty pants scientists crashed the party by pointing out that the bird barely seen in the grainy video looked an awful lot like the plain old pileated woodpecker. And since nobody gives a damn about the plain old pileated woodpecker, a spirited debate ensued. In “Ghost Bird” (2009), director Scott Crocker crafts a surprisingly suspenseful tale as he follows the battle of experts on each side as well as the more fundamental tug of war between faith and empiricism. Unlike with global warming, the scientific community did not reach consensus. A Cornell researcher claimed new audio evidence supported the discovery, but the skeptics continued to do their skeptic thing. The annoying fact that nobody else spotted the faintest sign of another ivory-billed woodpecker was problematic, but parties with vested interests as well as those who just think it's more fun to believe could cherry-pick the evidence to suit themselves. Refreshingly, there are no villains in this nifty nature tale. Crocker discovers fascinating people on both sides, most notably Nancy Tanner, wife of the deceased ornithologist James Tanner who worked with ivory-billed woodpeckers more than half a century ago. She relates a rich history of this beautiful phantom creature, so revered by local Indians they called it “The Lord God Bird.” Even if you're not a bird enthusiast, the film makes it easy to appreciate why people would get so excited about the potential discovery, though one researcher offers the depressing observation that efforts to track the ivory-billed woodpecker in the past may have led directly to its extinction. That's a sobering thought, but the movie is somewhat less successful when shoehorning in broader ecological concerns, including a somewhat arbitrary warning that humans will render fifty percent of species (all species?) extinct by the end of this century. Fortunately, the movie only occasionally wanders afield, usually staying focused on this amazing bird and the people who cared about it. Everyone wanted the unlikely survival story to be true, they just differed on whether they required proof to believe it. The film is presented in a wide-screen anamorphic transfer. The SD transfer from Kino Lorber is a solid effort with no obvious signs of damage, boosting, or distortion. There are a lot of talking heads, but also some lovely swamp and forest footage (cinematography by Damir Frkovic) and the transfer treats it as well as a standard def transfer can be expected to. The Dolby Digital Stereo mix is efficient if not dynamic. There's some great music in the film, including the Sonny Terry track “Lost John.” Only obsessed cinephiles would instantly identify that track with Werner Herzog thanks to its unforgettable use at the end of the masterpiece “Stroszek” (and “Bad Lieutenant: Port of Call New Orleans” if memory serves). The company credited with the film is “Small Change Productions” with “small change” also being an unforgettable line from “Stroszek.” A coincidence? A fine original score by Zoë Keating helps too. The disc includes nine extra/deleted scenes, running a total of approximately 40 minutes. 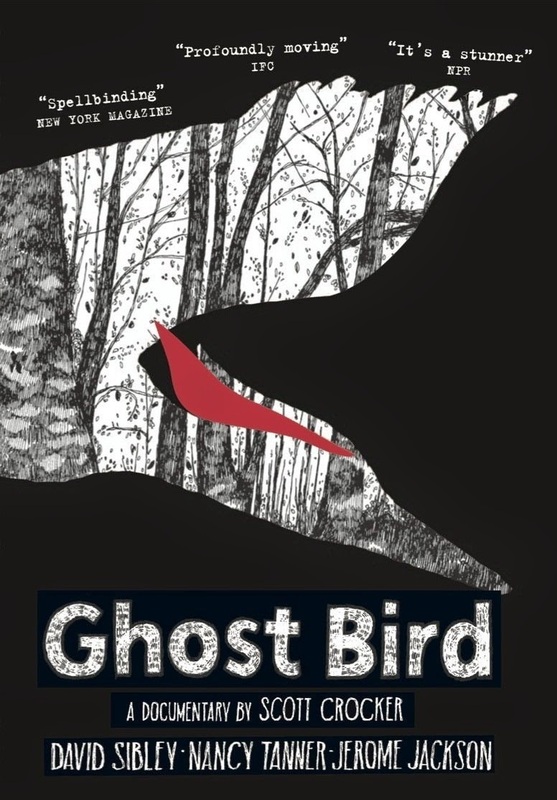 “Ghost Bird” is the most compelling ivory-billed woodpecker documentary I've ever seen, and ever expect to see. Long may the Lord God Bird live.